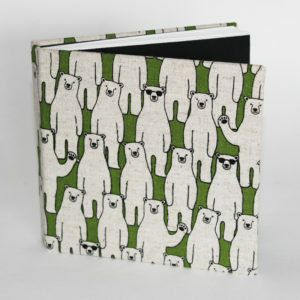 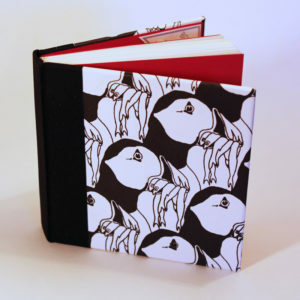 A5, portrait format, hardback blank book with open spine binding suitable for notes, a journal or even a special sketch book. 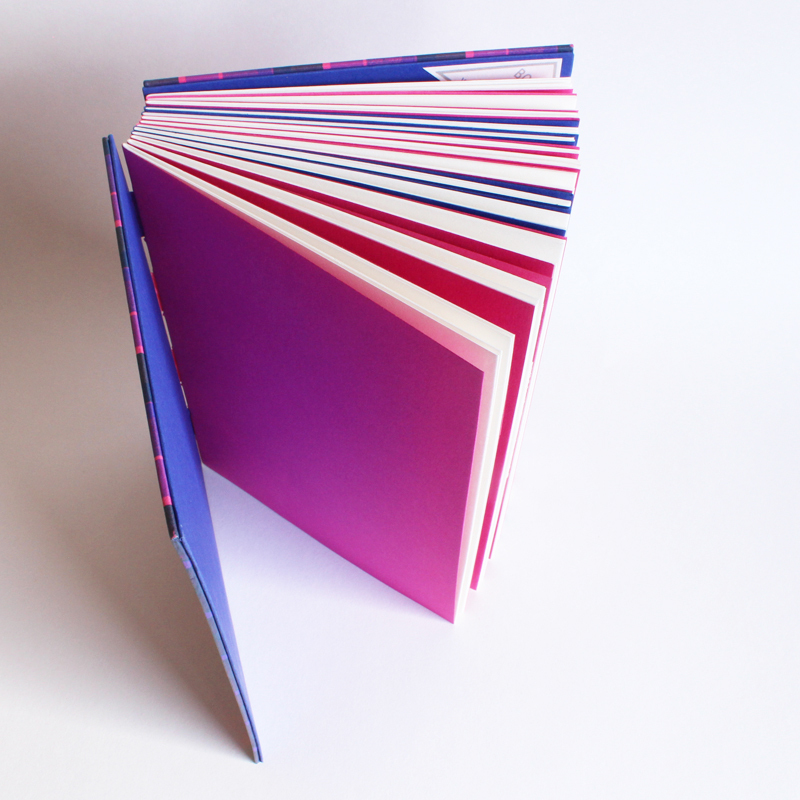 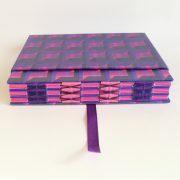 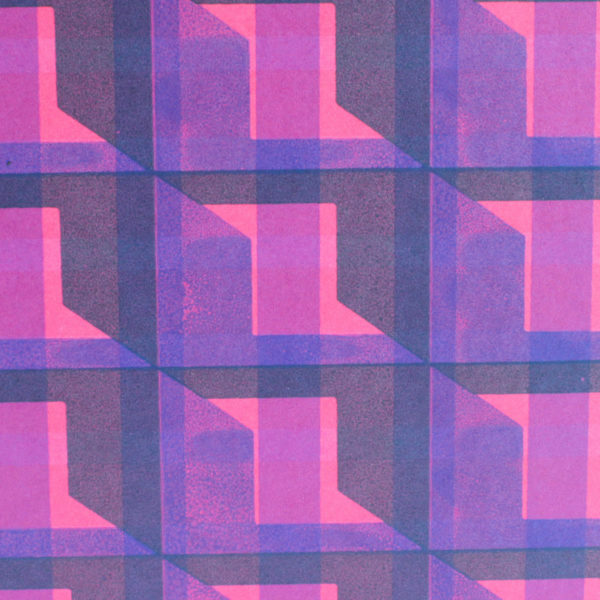 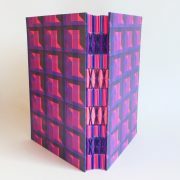 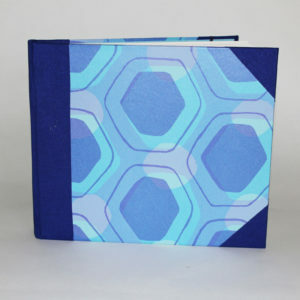 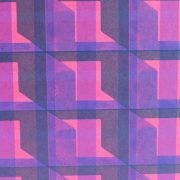 Covers of with hand silkscreen printed paper in pinks and purples (design is called ‘zigzap’) and lined with blue. 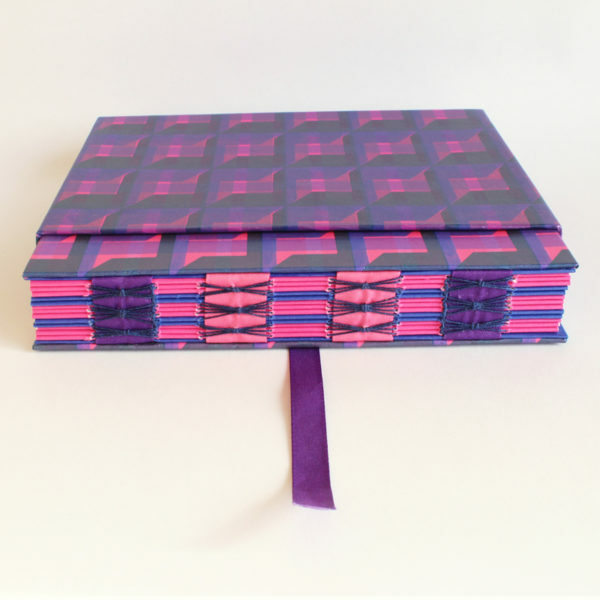 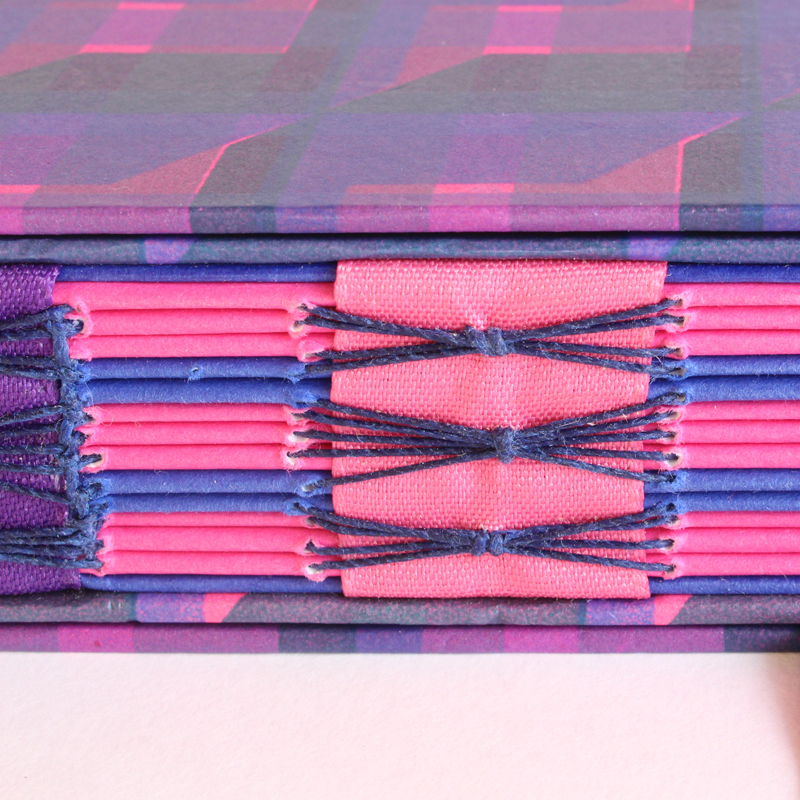 Binding tapes are in purple and pink and decorative stitching in blue, cotton and polyester waxed thread. 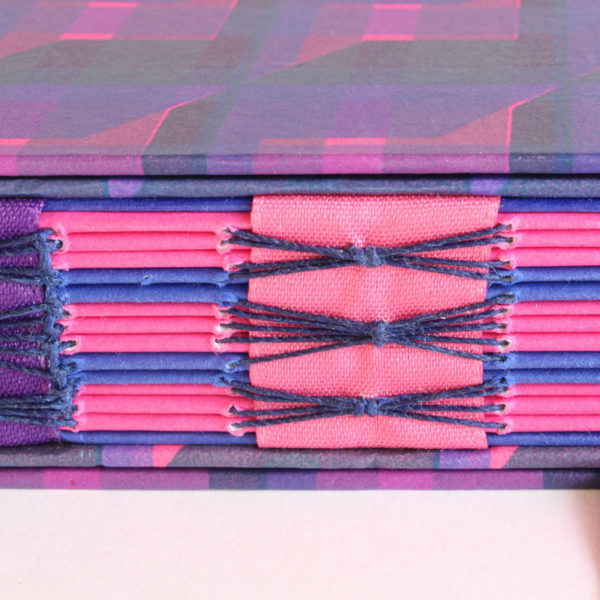 This book will lay flat on the table when open. 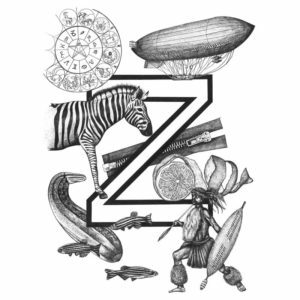 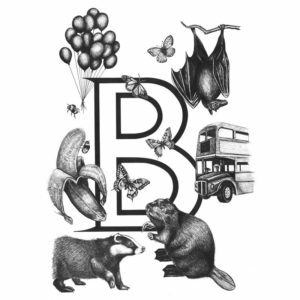 Pages consist of 78, acid free, 140 gsm white cartridge, interspersed with 18 pink and 8 blue pages.